Abundant Blessings: I'm Sorry and I Have Gifts! I'm Sorry and I Have Gifts! Thought I’d better pop in here again and beg some forgiveness. It’s been a while and, in spite of my good intentions, I still have trouble getting to this regularly. A few things have happened since I last posted. My grandmother celebrated her 102nd birthday—yes, you read that correctly. GrammaDear is 102 years old and going strong. She’s still in charge of dishes and plays a mean hand of Kings in the Corner though we finally found a jigsaw puzzle that gave us both fits. Phil and I spent a week with her this summer and enjoyed it thoroughly. Then we came home to become grandparents. I know, I’m too young for that (at least that’s what I think you’re saying, right?) 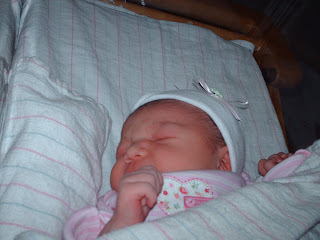 but what a sweet bundle of joy our new granddaughter is! She looks so much like her mother at that age, though a bit longer like her aunt. I think she’s going to be a tall one. And then school started again. I taught at Academy the week before, sharing some projects I’ve developed for my gifted students with other teachers. It was my first time doing that and I had a good time--plan to do it again next year. Plus, getting my classroom ready, I decided to paint a couple walls. Okay, I didn’t just paint—I painted the world. 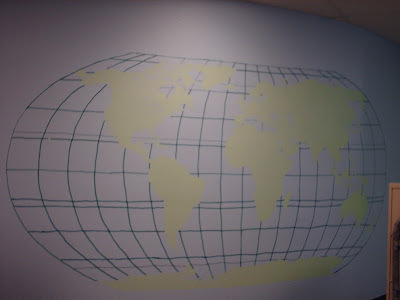 I now have a giant world map on my wall. After finishing I realized I had left out a rather important body of water, so there was a contest to see who could figure out what was missing. The winner would get to paint the missing body of water into the map. Two of my fourth graders began coming after school everyday to try and figure it out--picture two boys staring hard at this wall. Finally, on Friday, they succeeded. D came in with a tiny map and pointed out the area but he couldn’t name it. J remembered having seen maps in the back of dictionaries (his favorite thing to read) and looked it up. Lake Victoria was added to the map in a very nice cooperative method—perhaps a tad more south than it should be and probably several miles larger than in real life, but it’s now on the map. Looks good. Been doing some reading this summer, too. Two books I want to recommend to you. 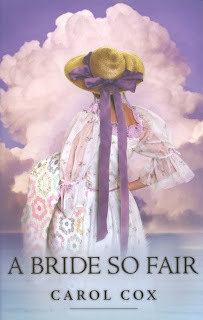 The first is actually Carol Cox’s third installment of her A Fair to Remember series titled A Bride So Fair". Carol and I went to the same high school (not at the same time, though it’s not an age thing—honest!Go Panthers!) and she is still a fellow Arizonian and a well published author. Her series reintroduces the Chicago World's Fair and all the wonder it generated to new audiences. A perfect match for an ol' history buff like me. I enjoyed the first two books of her series, but the third I think is my favorite--romance, excitement, intrigue--what's not to like? I am giving away a free copy just in case you want to check this out for yourself. Leave a comment and your name will go into a drawing to be held on Sunday, September 7. 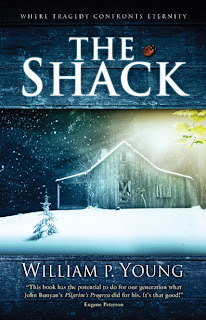 The other book I want to recommend is The Shack. I’ve never read a book like it. And , next to the Bible, I’ve never read a book with bigger impact on my faith thoughts. I know there are people out there who will disagree with my fanfare, even to the point of crying heresy. However, the book was never meant to be considered doctrine. It is a fictional story that makes one think. And cry, and laugh some, and then cry some more. But most of all it makes one think. In my life the thinking is moving my relationship with my Abba closer, deeper. In a very real way it has brought a new level of peace to my heart. So, I am making this contest a two book deal. Someone who leaves a comment will receive both A Bride So Fair and The Shack. The chance to enter will close at midnight Saturday night (September 6th). Oh, and just to make it interesting, if you tell someone about this contest, have them leave a comment and say you told them about it. That way your name will go into the drawing again—recommend 10 people, you get 10 extra opportunities to win. Now can you forgive me for being lax about blogging? Please? Congratulations, Jenny, on becoming a grandma! There's nothing quite like it, is there? Our second grandchild is due in January, and I'm just as excited as I was the first time around. Yep, panthers rock (and we won't mention anything about gray). And BTW, all that buzz about grand babies being so wonderful is way understated! They are beyond wonderful! She's well on her way to being well spoiled. Oh, Jenny, I have heard really good things about Carol Cox's A Fair to Remember series, so sign me up for this contest, my friend!! Sorry, Jenny, that last comment was from me. It seems whenever my daughter Amy comes home from college and uses my computer, our Blogger identities get mixed up!! Thanks for having this giveaway, I am very interested in reading The Shack. I would love to win these books! Sign me up please! They both look really good especially the one by Carol Cox. The books sound good. I've heard good things about The Shack. I'd love to win The Shack. I heard about the contest on Trish's Blog. Congrats on becoming a grandma and thanks for the giveaway! What wonderful prizes! Congratulations on becoming a grandma, it must be wonderful! 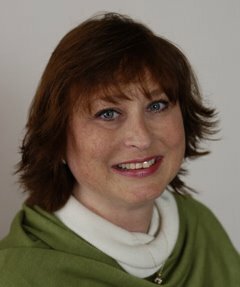 I found your blog through "Trish’s Blog - conquering new territory". I would love to be entered into the contest. I love reading new authors. Amy (a.k.a. Julie:-), you heard right. I'll sign you up ASAP. Trish, looks like you're working on those chances--I've counted three people you directed here plus your own comment--looking good for you:-) Oh, and thanks backatcha for linking with your blog. Much appreciated. Alycia, they are both great books. Carol knows how to tell a story well and you've already read my feelings about The Shack. Got you in the drawing. No, Ben, I haven't read Desiring God though I did do the Experiencing God class through our church and that was incredible. I will have to look up Desiring God. Thanks for letting me know about it--and you are in the drawing, too. Thank you, Shana and Alyce. Being a grandmother is better than anyone tried to tell me. She is just amazing. Got you both in the drawing. Just Me, you are in the drawing, but even if you aren't drawn, these books are worth every penny. You will love these authors. Thank you all for dropping by. I'll keep you posted about the lucky winner of the books. Are you really a grandmother! Wow! Congratulations. She's beautiful.